The Sir Garnet pub had originally commenced trading under the name ‘The Baron of Beef’ (before that it had been a butcher’s). 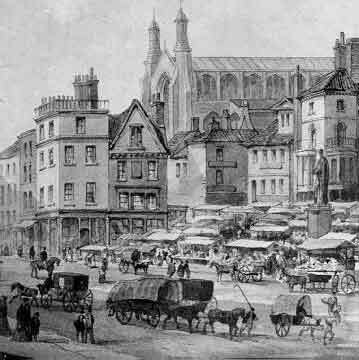 The location pictured here in an extract from a picture of the Market drawn in 1855 by David Hodgson, reproduced by courtesy of the Norwich Museum and Art Gallery. The gabled building is the site of the original Baron of Beef. In the U.S, the term refers to describe any big and/or expensive joint of beef. Here in our pub, the term will actually refer to our chef who will be creating some simple specials and delicious meaty treats…. Our ‘Baron of Beef’ has been a close friend of mine for over ten years and used to save the day with his delicious home cooking when we were feeble students. He will be upstairs every day in The Sir Garnet kitchen concocting a very limited but excellently selected menu sourcing local produce. Once the specials are gone…they’re gone. He’ll also be offering a small range of home-made experimental burgers. And on Sundays, we hope we can provide a proper roast in the city centre whilst the market is at it’s most peaceful. A Play in the post…. Three days ago an anonymous package arrived through our door. 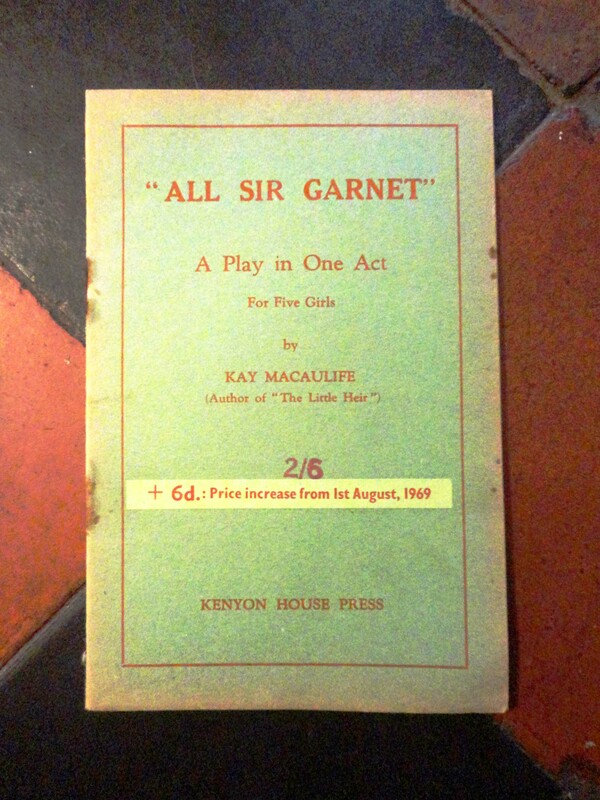 It contained a beautifully preserved copy of a play by Kay Macaulife; “All Sir Garnet”. I had been familiar with the work of Kay Macaulife as I had studied theatre design at St. Martins, and taken great interest in female playwrights. Born in 1909, Kay’s great passion in life was the theatre. After re-loacting to Sussex during the war she formed The Kay Club, a select group of women who acted in the plays she wrote. Her determination to put on performances throughout the war and beyond, lighting or no lighting, stage or no stage, is the kind of attitude I adore. She led a full life, dying in 1995. We’ll frame this copy and get it up on the walls, but i’ll photocopy it first and keep it behind the bar should you ever want to read it. And to our mystery sender; I can’t think of a lovelier gift to receive at the moment, so whoever you are…… thankyou. World war II began in 1939, although it wasn’t until 1941 that the first bombs fell on Norwich (in the Vauxhall St area close to where I live now). 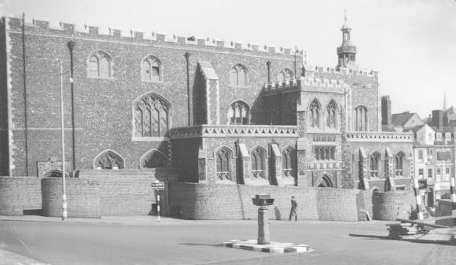 It had begun preparing itself back in 1938, building air-raid shelters and sandbagging important buildings like the Guildhall (which thankfully remained unscathed). In the period until 1943, 340 people were killed with 1092 injured. The fabric of the city suffered severely with 2082 dwelling-houses destroyed and 2651 seriously damaged. Despite efforts to keep the shopping area open as usual, a lot of the traders had been called on to fight. Department stores became targets and the market became sparse. In October, 1942, King George VI made a surprise visit to the city, meeting not only civic dignitaries but several hundred men, women and boys of the Civil Defence Services who had performed so well during the air attacks on the city. It was a vastly different place to the Norwich he had come to a few years before to open the City Hall. When I used to live above The Birdcage, we had a view up Lower Goat Lane to the tower at City Hall. I’d been told that City Hall had been considered for Hitler’s Eastern headquarters should the Nazi’s have succeeded. I used to imagine what it would have been like to look at that view, with a great big Nazi flag hanging down it and some sort of Stormtrooper keeping it guard. 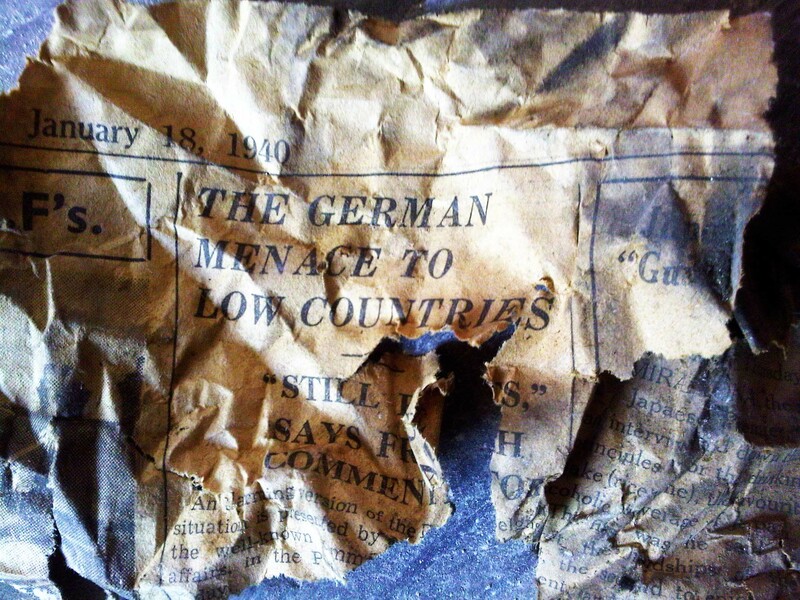 I wonder now, looking at this fragment of newspaper and what it must have been like seeing the view of the market and the Guildhall getting prepared for the bombings, what the tenant living above The Sir Garnet must have been feeling like at that time…. 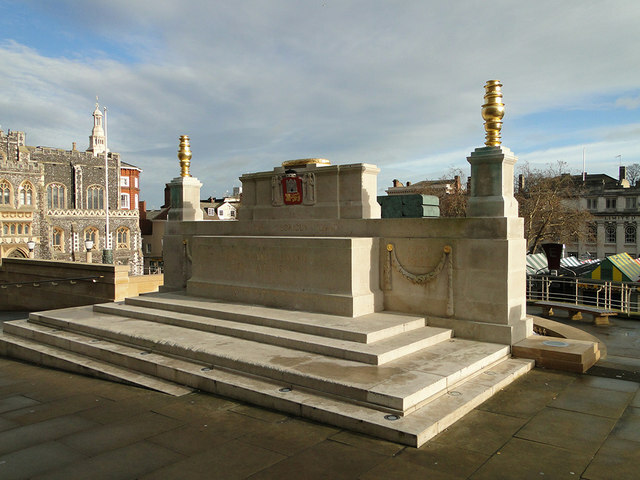 For me it seems so poignant, the location of the War Memorial in Norwich. Outside City Hall and the Guildhall, gently watching the market place. A reminder of loss, yet an emblem of triumph. 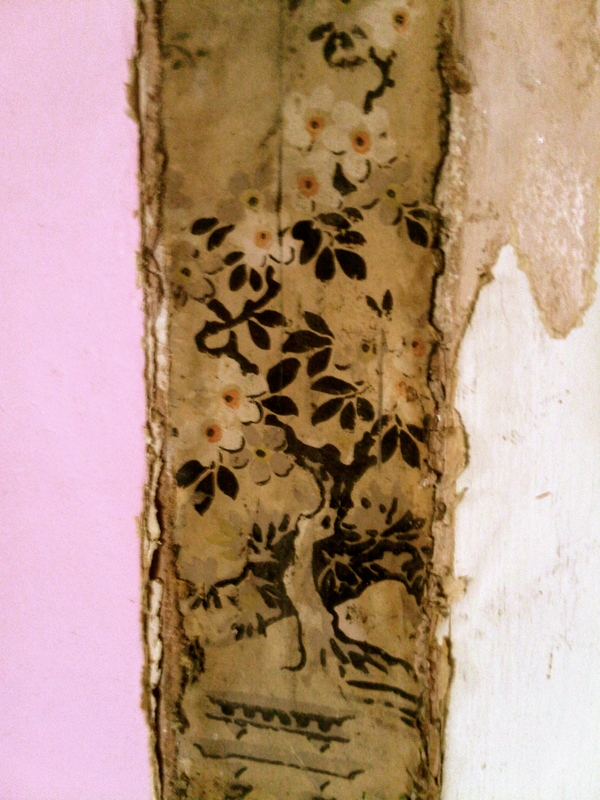 After removing an ugly stud wall at the top of the building, another lovely piece of wallpaper was revealed….. Bolder in print than the last discovery, we believe it derives from the mid 1920’s when Oriental themes became popular. Only one room is left now to strip so fingers crossed i’ll have something to show you from there….. Quotes for insurance, fire alarms and security systems have started to fill me with panic so we’ve had to start the process of shaving money off other costs. We decided, in efforts to bring down budgets, there had to be a way of salvaging the existing bar furniture and giving it a new life. 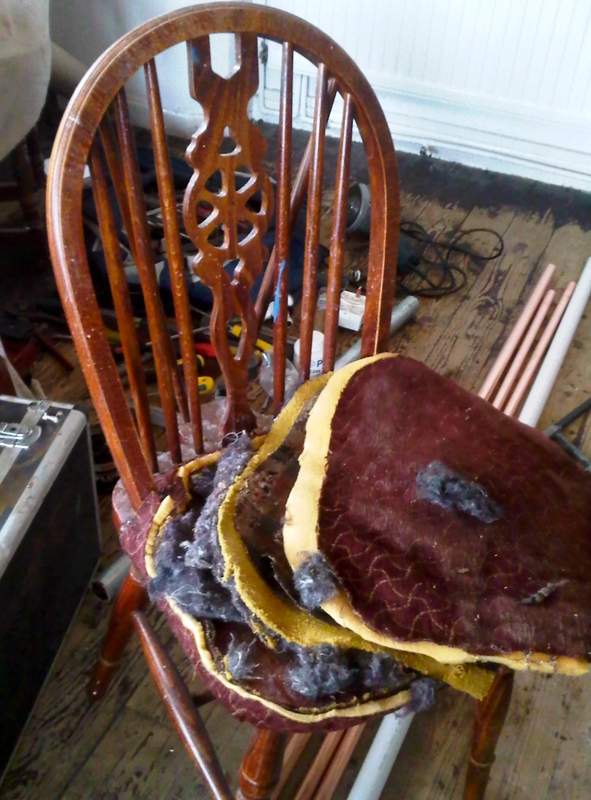 Like everything so far, it wasn’t just a case of de-tacking the upholstery…oh no, there were decades and decades of ripped fabric. An absolute army of staples and nails to get through. Each chair takes, about 2 hours just to get back to it’s core. Whilst Prince Philip and the Queen avoided pneumonia on the Thames, our wonderful friends gave up time on their bank holiday to come and save a chair. 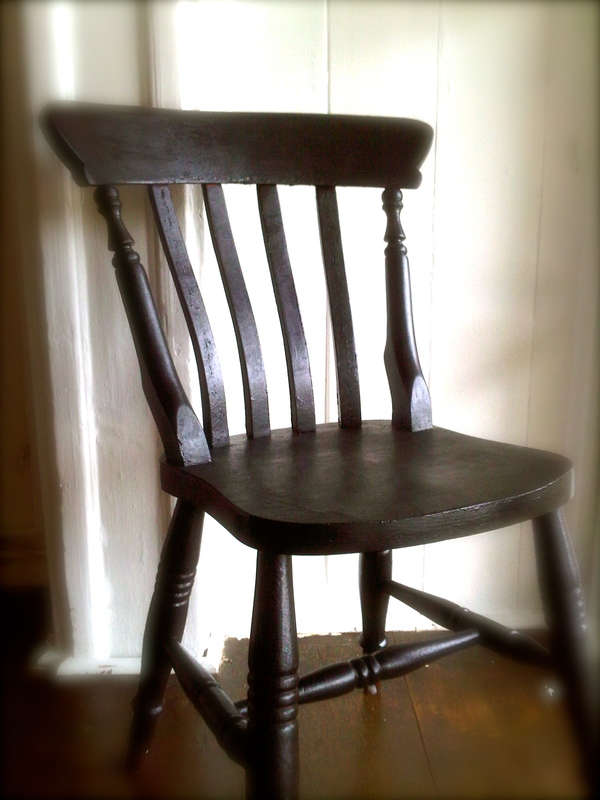 With a bit of sanding, and a lick of ebony varnish they began to take shape. And having looked pretty drab, there is something quite characteristic and traditional about them now I think…..like they have seen many comings and goings and will continue for years to come. I like to think these are our Jubilee chairs and we’ll always remember that weekend. When we get open, i’m going to see if I can get some little plaques put on the chairs for the people who have helped me along the way with this project. It would be nice for them to always think they have a place to sit down after all the work! Clearing out an upstairs cupboard we found some pictures snapped from a window of the pub, the last time the market had been renovated. We know the market dates back to medieval times (and that parts of the Sir Garnet acted as a market hall) but it is specifically the Norman period for which it is most recognised. The Normans built the castle, cathedral and created a new borough where a market was laid out in an area called “Mancroft” (‘Magna Crofta’=big field). By the 1800, the lay out of the medieval market place had altered as buildings began to dominate. Superior shops geared towards the gentry began to emerge creating the area we now recognise as ‘Gentleman’s Walk’. 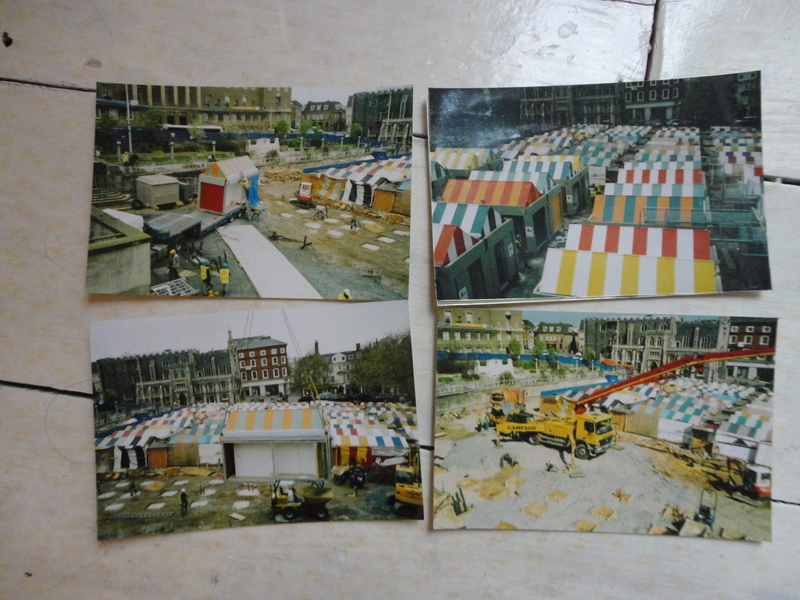 The market itself became more fragmented, with the “upper market” (housing the meat and fish stalls) being separated from the “great Market’. By 1930, the market required a radical overhaul. Changes had begun after WW1 when the markets committee gradually purchased all of the stalls, with the intention of encouraging unemployed ex service men to rent them for a living. This meant the ability to introduce uniformity. It was in 1938 that the market stalls were given their iconic striped tilts. There were few changes superficially until 2004 which saw a second, controversial re-vamp in order to tackle problems of gradience, size, security and lighting.